Even when I’m mad at God, I need the support of my faith communities. It was a big turning point for me before we had our son when I finally asked to be added to the church prayer list for my infertility concerns. I had told one or two people in the church, but most people had no idea. When I asked for prayer it became public. I was nervous at first, but my church family at the time held my prayer need with utmost respect. When I am struggling in my faith I am particularly glad for corporate worship and liturgy in particular. Even if I can’t pray, the community of faith carries me through their prayers. Churches who do liturgical worship are accused sometimes of “just going through the motions.” I have to tell you though, when infertility plunged me to my lowest point, those “motions” were all I had. Reciting liturgy that I have memorized, that I know by heart allowed me to pray when I would not have otherwise been able to pray. One thing that helped me also was when my congregation and other supportive faith communities became aware of the pain of infertility. Due to awareness about infertility, my church family prayed for couples who cannot have children on Mother’s Day and Father’s Day. Before I had my son, fellow members of an online discussion group for Pastor’s Wives made a point to show sensitivity when sharing about baby news. What saved your faith? Write your own post answering that question and then visit http://www.edcyzewski.com to learn how you can join the synchroblog or to read additional posts to celebrate the release of Ed’s book A Christian Survival Guide, which is discounted on Amazon this week. Oh, there are signs. We see them. We know what they say, what they mean. We even know they’re right and helpful. But do we heed them? There has been some road construction on the highway that goes by our house. I drove through it a number of days ago. 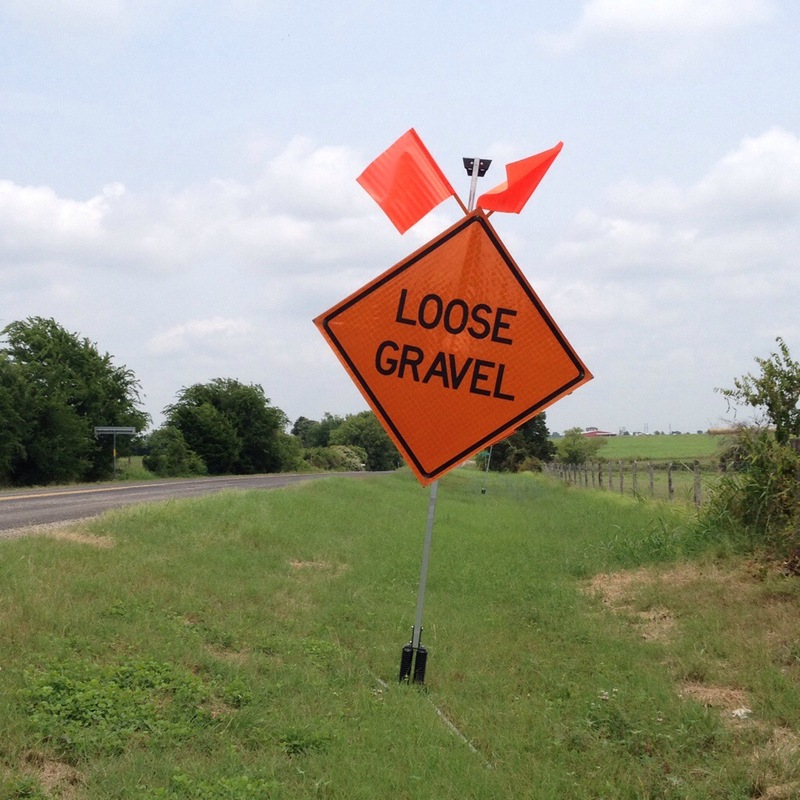 There were signs up that warned of “Loose Gravel.” And indeed, when I drove through the construction on the first day, I had to drive very slowly on account of said loose gravel. On the second day of construction, I got in my car to drive into town. As I was driving down the driveway toward the road, I noticed one of those “Loose Gravel” signs. I recalled how loose the gravel had been the day before. I drove right up to the road and paused in my driveway to wait for a break in traffic. Once I finally had my chance, I did as I’m used to doing and I pounced on the accelerator. You see, our driveway is not level with the roadway; we have a steep climb right at the end of our driveway to get up onto the road. I have to really give it the gas to get up and out. But only, this time, when I gunned it, my tires didn’t grip right…because they had gotten caught up on some…loose gravel. And I thought, gee, I sure wish someone would’ve warned me about that gravel being all loose like that. And all at once I remembered the construction and I looked up and noticed that “Loose Gravel” sign once again. Oh, someone had warned me. But I forgot. I knew there was loose gravel. I had even seen that sign just minutes before my tires spun out. The same type of thing happens in my spiritual life more often than I’d like to admit. I know the lesson pretty well on one level. I get what the Lord is trying to tell me. I know it is right and it is for my own good. I hear the reminders and I know they’re true. But then? Then, I forget. All at once I forget and I revert back to my old ways, to what I’m used to doing instead of heeding the Lord’s message to me. The old ways are so ingrained and it’s hard not to do it those ways. I mean, like putting the pedal to the metal to get out of my driveway, I do what I’ve always done in my life as well. I do what has worked for me in the past even when God has showed me clear signs to do it a new way. I know I’m not perfect at heeding the signs Lord, but I thank you for providing them so generously. I do see them; I need your strength to obey.